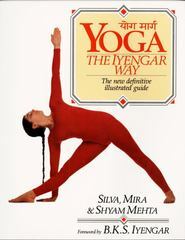 Yoga: The Iyengar Way 1 Edition A comprehensive, practical, and authoritative guide to the method developed by Iyengar. 100 key postures with detailed step-by-step instructions and photographs. This is our most recently published yoga book and has quickly become a backlist bestseller.